After a bit of an absence from posting product reviews, the review train is back on the tracks. Today, we will be taking a look at Colorado based GIBS Grooming. 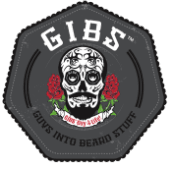 The name GIBS serves dual purposes as Gib is the name one of the company co-founders and GIBS is also an acronym for “Guys into beard stuff”. I received the three beard oils pictured here via FedEx. The beard oils were packaged exceptionally well surrounded by a thick layer of styrofoam peanuts, with the bottles packaged in a small Ziploc bag. The bottles made it through transit without any leakage or other issues, and frankly, with as well-packed as they were, I imagine I could have stepped out on my balcony and thrown the box off of it and the bottles likely wouldn’t have shifted more than an inch. The bottles do note the products as “Beard & Other Hair Oil”, and the website also notes that the oil functions well as a tattoo treatment. However, as I barely have enough hair on my head to cut and haven’t recently gotten a tattoo, I cannot speak to the efficacy of the products in these arenas. But I did use all three on my beard over a substantial period of time so I can certainly speak to that. All three of the beard oils feature the same base ingredients, so your beard should respond to any of the blends in the same fashion as mine did. With that in mind, all of the categories below apply to all three of the oils with the exception of scent where I will break down the individual scents. Don’t have time to read the full review? No problem, visit any of the Tales of the Tape below. 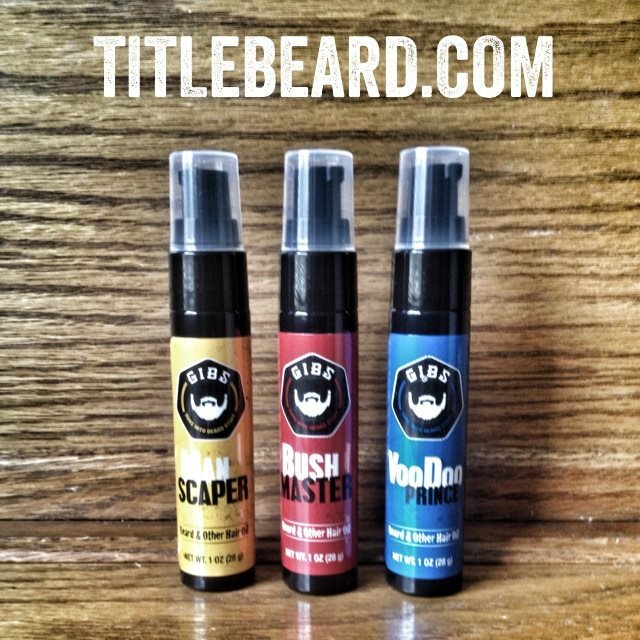 All three of the beard oils are packaged in a plastic bottles with wraparound labels and a pull-top lid and a pump to distribute the beard oil. Upon first glance, I thought the pump top was a spray top, but was pleased to learn it was not. While I typically favor a free pour, when it comes to pump vs spray, I prefer pump because I can more accurately gauge the amount of beard oil I am applying. The consistency of these beard oils was different than I have seen, thicker and with more of a slippery/silky feel than any of the beard oils I have tried thus far. It was not a greasy feeling, but certainly a different one. Even after applying the beard, I could notice a different feeling on my hands like it left my skin very smooth as though I had applied some sort of lotion or moisturizer that left a protective layer. Not all of the ingredients in the beard oils are the typical ones you find in many beard oils so I did some research (aka Google and Wikipedia) to look up the main ingredient listed, Cyclopentasiloxane. To summarize what I found, this ingredient is becoming more commonly used in hair products to give the hair a wet and silky look that also acts as a mild water repellent. First, a couple of general observations about the scents of these beard oils. The scents are markedly different than most of the beard oils you’ll find on the market. I would actually place them much closer to a cologne than a standard beard oil, both in the makeup of the scents and in staying power. All three have fairly complex bouquets without one discernible scent, and the scents are very strong and lasted nearly all day, so if you are looking for a beard oil with a different, powerful scent, one of these will be the one for you. I’m listing these in my order of preference, from first to last. ManScaper – The GIBS website offers the following description of the scent: “Bulk your hulk with musk, nutmeg, leather and vanilla, creating an intoxicating, magnetic forcefield of a face forest, one damsels in distress only dream of getting lost in.” For the record, I did not have occasion to discuss the scent with any damsels in distress, but this scent was my favorite of the three. The musky overtones are given an underlying sweetness from the vanilla and nutmeg. This scent would work any time of the year, but especially during the cooler months as it is a warmer scent. Voodoo Prince – From GIBS: “The Prince casts a sultry, spell-binding majesty with bergamot, sage and sandalwood, and beckons the beard gods with Copaiba balsam and passionfruit oil to banish pesky breakouts and beard ruff.” Although the Copaiba and passionfruit oils are present in all three oils, I detected them the most in this oil. Voodoo Prince has an almost floral scent with hints of fruit. While the scent itself was strong, the scent composition was the lightest of the three. I would think this would make an excellent beard oil choice during the summer, a fresh scent to refresh you on a hot summer day. Bush Master – From GIBS: “The result is a whisper-soft scruff, laced with adventurous hints of grapefruit, tobacco flower, saffron and cedar.” The grapefruit and saffron provided the dominant notes of the scent and the tobacco flower and cedar gave the scent a bit more body on the bottom end. I wasn’t a big fan of this scent. It certainly didn’t smell bad, this mixture just wasn’t my cup of tea. In my opinion, this was the most complex of the three scents, and I think that the complexity is what threw me off – picking up too many different scents throughout the day as opposed to having one to focus on. But again, if you like complex scents, this could be the beard oil for you. When evaluating a beard oil, my number one factor is always conditioning. Will the beard oil “tame” my beard, conditioning it and giving it a good look throughout the day. In this area, the GIBS oils fell a little short of all-day conditioning. My beard did have a nice shine all day, but as the day went on, the conditioning properties wore off a bit quicker than I would like. I was a little surprised by this given the inclusion of argan, olive and sunflower oils, but as I’ve mentioned before, different beards respond to oils in different ways. I think that those with shorter beards would likely not notice the conditioning properties fall off towards the end of the day simply because there is less hair that needs to be controlled. I also noticed that the oil, when applied, did not seem to immediately start working on my beard. With most beard oils, when I apply the oil, my beard is immediately more manageable. When I first tried GIBS this was not the case, but I realized that for whatever reason, it simply took a little bit longer to set in, so to speak, so I did begin to notice the effects within 15-20 minutes. A one ounce bottle of any of the beard oils sells for $19.95 plus shipping. This puts it on the mid to high end of the price spectrum, but the conditioning properties are certainly above average, and if you’re looking for different scents that have major lasting power this would be a solid purchase. In addition to these beard oils, GIBS also has a beard balm and beard wash listed as coming soon so you may want to keep an eye out for those. In the meantime, be sure to visit GIBS at the social media locations listed above, and visit GIBSGrooming.com to learn more about the company.